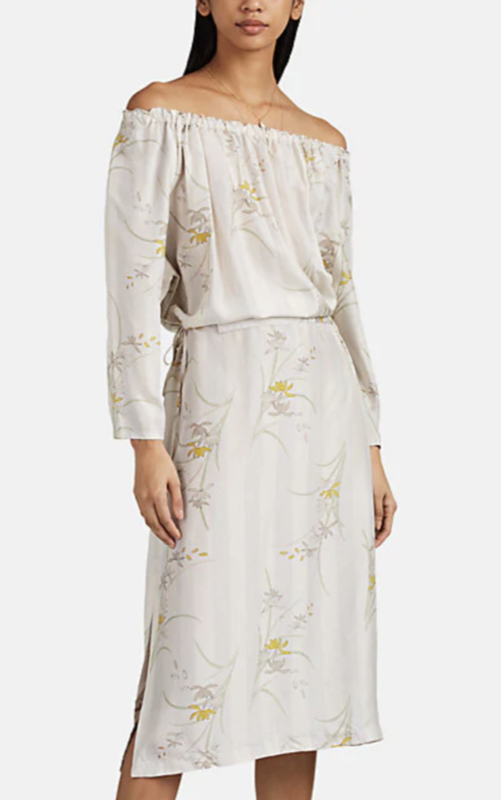 Showcasing tonal stripes and a floral print, Raquel Allegra's midi-dress is designed using light grey, yellow, and multicolored silk satin. 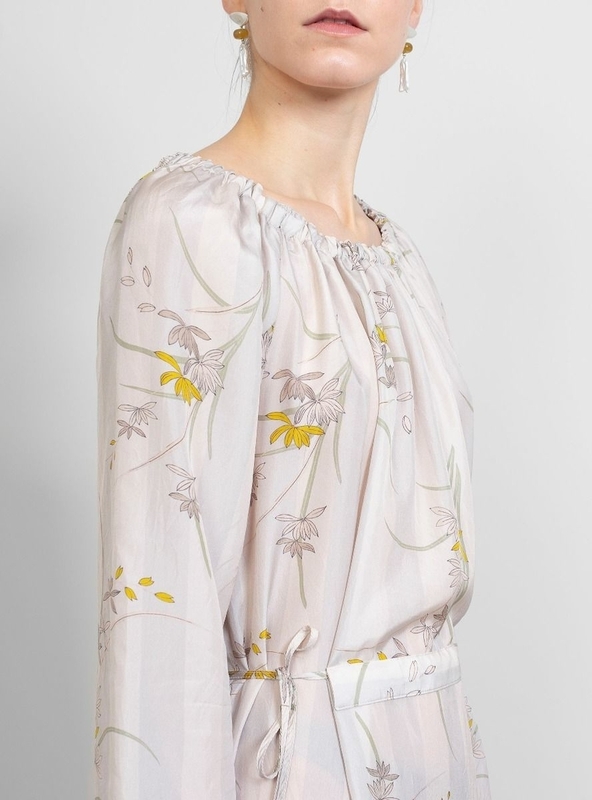 The fluid, gently gathered silhouette is accented with self-tie sides. Ruched elasticized crewneck. Three-quarter-length raglan sleeves. Gathered at neck and nape. Self-ties at waist sides. Side vents. Slips on. Ties at sides.